A solid foundation is the key to success. 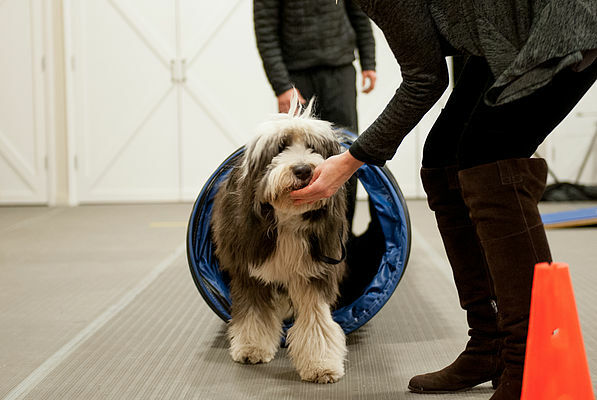 Level 1: Basic Obedience and Manners is the foundation of all of the classes that follow. It is for dogs and handlers who need to start at the beginning. This class will teach you and your pooch how basic cues can help with good manners and proper leash etiquette. It will also explain the meaning and use of markers (clickers and verbal markers) in training. Classes are limited to eight dogs each. The small class size ensures an environment conducive to learning. 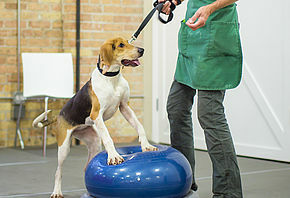 The first session begins with a one-hour orientation (leave dogs at home, please) and then consists of five one-hour training sessions with your dog. 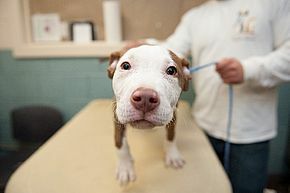 Vaccination records: Copies of your dog’s age-appropriate distemper/parvo, rabies and Bordetella vaccinations must be brought to the first class. Leash: A five- or six-foot leash (no retractable or chain leashes). Collar/Harness: Martingale collar, buckle collar or training harness. Clicker: This training tool can be purchased online or at any pet supply store. Treat carrier: A bag, pouch, fanny pack, apron with pocket or deep pocket that provides easy access to treats. Bed, mat or rug: Soft surface your puppy can learn to lie down on. Chew toy or stuffed Kong (optional): May be helpful to keep your puppy entertained during downtime. Wear comfortable clothing and nonskid shoes. Flip flops, sandals and heels are not recommended. The use of cell phones is not permitted during class. Do not feed your dog before class. A hungry dog is more motivated to learn. Give your dog time to relieve himself before class. Learn more about Level 2: Intermediate Obedience. A guide to bringing home your new dog. Start training your dog today! Our goal is to help you properly care for, socialize and train your dog in a positive, non violent yet highly effective manner.